Facepot by Good Studio is a collection of different sized planters with an intriguing idea attached the graphic techniques used in advertising campaigns can be applied to decorative objects. 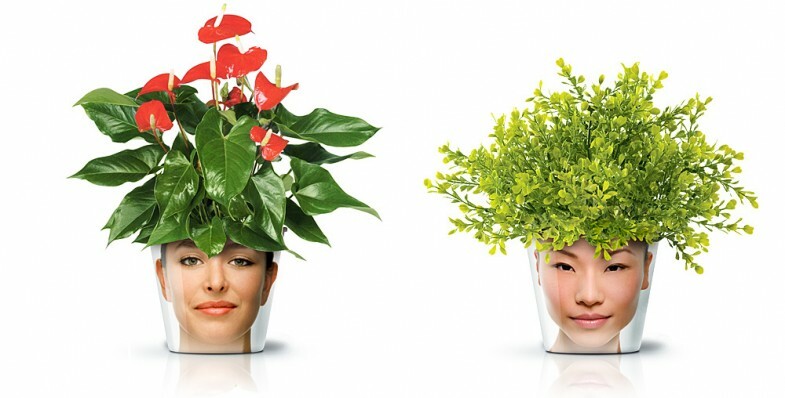 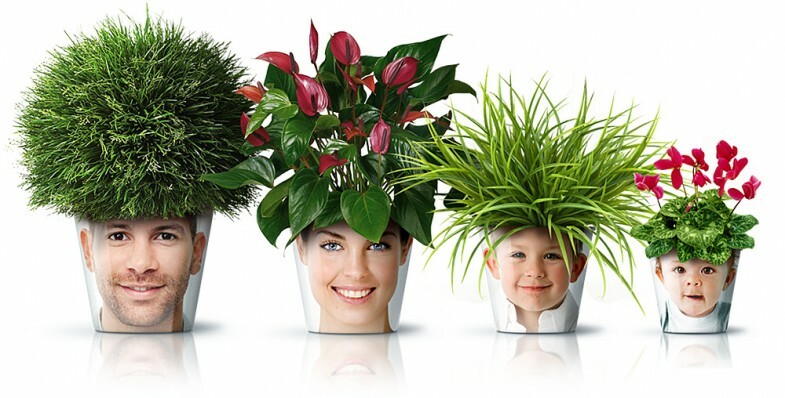 Using flowers and plants similar to the person’s face shape, Good studio created these amazing facepots which have the plants elegantly covering the edge of the pots, creating a fun and funny final result. 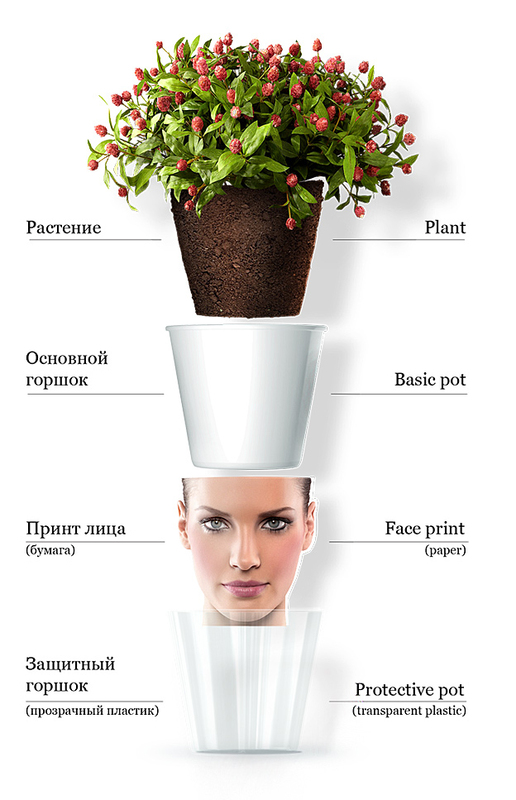 The plant is secured in a normal pot, then it is inserted in a basic, white pot which is adorned with the familiar face of your choosing, printed on paper. 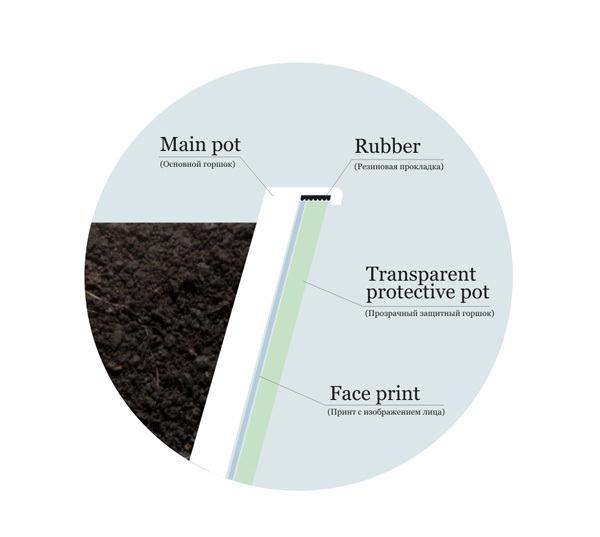 The final layer is a protective, transparent plastic pot that will keep the design safe from external factors.